Here is the text from the August/September 2018 Newsletter Published here with permission of the Parish Council. Dear residents there is a lot to write about this time around. The Village Bash on the 8th of July was a great success and on behalf of BNPC I would like to thank all of those involved in the organisation and all who attended. I am aware that Our Primary School, The Church and The Pre-School all managed to raise funds at the event and hopefully they will provide more information in their articles. Brize Norton Parish Council has a full complement of Councillors now that we have been joined by Hannah Gush, I am sure you will all join with me in welcoming her on board and you should be pleased to know that she will be taking a special interest in the Pre-School and Village Primary School on behalf of the Parish Council. In addition to this, two of your Councillors and the Parish Clerk received training in the Councillor Code of Conduct at WODC offices. We have also appointed a new Village Handyman Terry Hinchley and you will be able to recognise him in his blue polo shirt and High-Vis jacket marked up with Brize Norton Parish. We are pleased to welcome him on-board and hope that many of you will get to know him. By the time you read this article we should have held our 45th Horticultural show in The Elder Bank Hall. I believe this is going to be one of the most challenging shows due to the hot dry weather but we are hoping that people will still take part even if getting vegetables and flowers up to standard is tougher this year. Other events to look forward to this year include our regular November bonfire and the Battles Over � Beacon on November 11th. These events will be very close together but will be very different events with more details being posted on the notice boards and event flyers nearer the time. Finally, your Chairman and Vice Chairman met with the Mayor and Deputy Mayor of Carterton Town Council with a view to improving relations between the two councils. Hopefully, this will become a regular meeting and may also involve other parishes in West Oxfordshire. 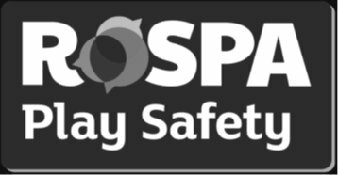 Our playground on the Rec has recently had its RoSPA (Royal Society for the Prevention of Accidents) inspection and has passed for another year. There is some minor remedial work that the Parish Council will undertake in the coming months, so you may see Terry Hinchley, our new Village Handyman, carrying out this work. However, this will not stop our youngsters being able to continue to enjoy using these play items safely. Parish Council meetings are held on the 1st Monday of each month. Meetings are held in the Brize Norton Sports and Social Club, opposite the Elder Bank Hall and the public are welcome to attend. We are pleased to introduce you to your councillors, with their key responsibilities. With the warm summer days set to continue, albeit a little cooler now, I have taken this opportunity to enclose a map of the footpaths (Public Right of Ways) in our Parish within this Newsletter. If you haven�t already, I hope you will take the opportunity to walk them and enjoy some panoramic views across our village, especially from Lew Hill. I would also recommend walking up Ting Tang Lane which runs north from the Minster Road roundabout towards the A40 as there are some beautiful views across the rolling fields to the West. Although this lane is not shown on current maps because it�s not classified as a Public Right of Way, we have submitted evidence to OCC to make it so. 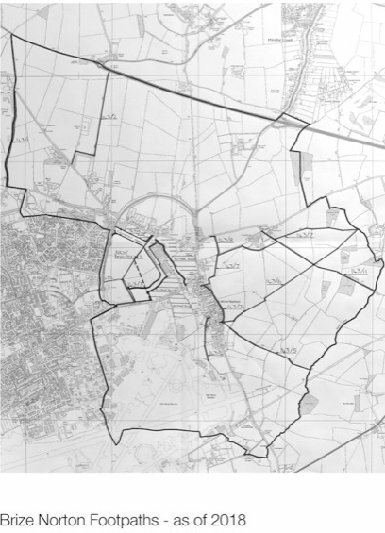 We have older maps that showed that it used to be one of the main roads out of the village towards Worsham Mill. One of our major landowners in the Parish welcomes considerate walkers on his land and will do all he can to maintain the stiles and footpaths on it. If you are walking your dog, then please keep it on a lead if you are in a field which has livestock in it. Even though you are in a field, please pick up your dog�s mess; it is a health hazard to livestock and do we really want this in our food chain? If you find any problems with the footpaths, stiles or signs then please let me know via the Parish Clerk preferably with a picture of the issue, and I will speak to the landowner. 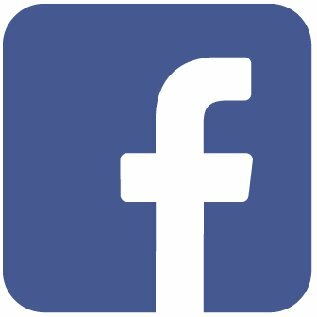 I look forward to meeting you should our �paths cross�. 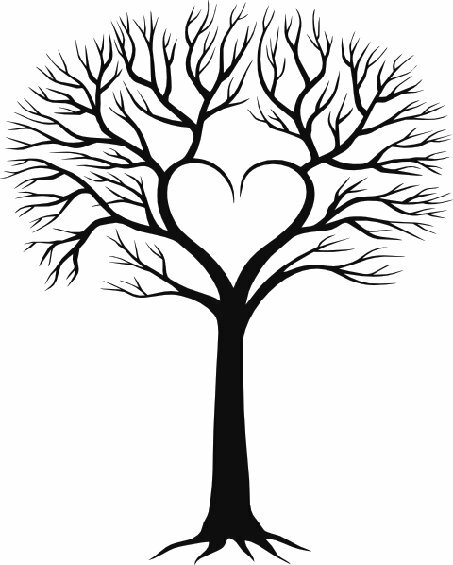 The Parish Council have the offer of a free tree from The Woodland Trust and OCC to commemorate the end of WWI. It is supposed to be placed in a site in the village, which has special significance. Other than the Rec do you have any other ideas? On a blistering hot Sunday afternoon in July the village came together to enjoy the spectacle of the second Brize Norton Village Bash. As previously, the school, clubs and associations of Brize Norton set out their stalls on the recreation ground in order to entertain the visitors in the course of raising funds for their respective organisations. Figures have yet to be finalised but it was generally thought to be a very successful day with the Primary School raising over �1,400 through the silent auction and many stalls, which included very hot chefs cooking behind the barbecue � an excellent job under the circumstances. The Social Club bar was kept busy all afternoon and the Pre-school, attending for the first time, had a very successful afternoon with the �Prosecco & Pimms� plus Skittles stalls � the combination obviously worked! The Church was also kept busy selling wonderful cakes and tea in the Elder Bank Hall, a respite from the searing sun. The WI were showing how to knit, sew or crochet poppies, in readiness for November when the village is commemorating the 100 years since the guns fell silent in the WW1 and there were displays in the arena from the Air Cadets and the School children. The Victorian kitchen and vintage machinery proved to be of great interest, as did the tennis coaching � all for your entertainment! A day like the Village Bash could not be as successful as it was without the help and assistance of all those people would helped organise the event and to those who just turned up to help set up and tidy away. But it also relies on those who ventured out to support the whole event. We think the numbers were up from last year but this is only a guess! The success of the Bash in turn helps the village school and the various clubs financially. It is lovely to see familiar faces again and just enjoy a good old chinwag!!!! We are already thinking of next year�s Village Bash and if you would like to help in anyway please do get in contact. 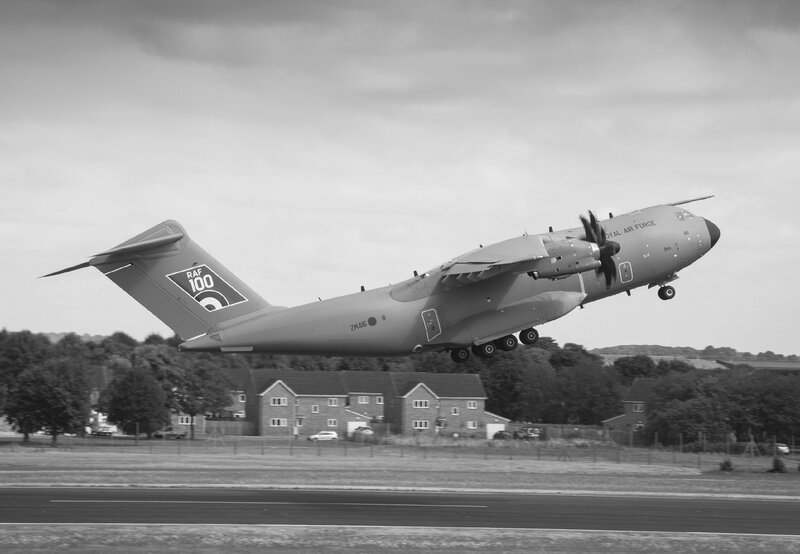 In Brize Norton we raised �922.60 last year for the Poppy Appeal. Thank you very much to everyone who helped. It wouldn't be possible without you. The summer holiday is a great time for headteachers to reflect on what has happened and think towards the new year. We had a great year last year, but once again the children had excellent results in their national tests. We are so proud of how hard they, and the staff and their parents of course, have worked. We also had an amazing collection of fun events as the term drew to an end: Sports Day and PE Wow Day, two summer concerts, a trip to the Royal International Air Tattoo and a camping trip with a walk up Snowdon for our older children. Now that they have climbed the highest mountain in England or Wales, I am telling them that there is nothing they cannot attempt to do. Of course, we also took part in the Village Bash. We are lucky to have a fantastic School Association who work so hard to raise money in these cash-strapped times; thank you to the whole committee and especially to our new Chair, Lauren Jacobs. After a fantastic year, and some sad goodbyes including to two teachers (Miss Musgrave and Miss Harris), we are busy preparing for the new one. We are looking forward to welcoming our new children and their parents to our little school family and I hope they will be really happy with us. The two new teachers are Miss Burn, who is moving from a school in Gloucestershire, and Mrs Mills, who has come down from Yorkshire. They both come with lots of experience and enthusiasm and I am sure the children will do very well with them. We are also planning our events for the new year: we have already organised a couple of trips including one for all of Key Stage 2 to visit the Tower of London, we are working with the church and Parish Council to plan our Remembrance Day commemorations, and we are all booked up for everyone to go to the pantomime at Christmas. Another year, another mixture of hard work and good fun at Brize Norton School. It�s been a busy year at Preschool. Sadly, 19 children left us in July to move onto primary school. We wish them every success in the future. However, from September 2018 we will be extremely busy with most morning sessions full and the addition of our new Thursday afternoon session. There are a few spaces still available so please do get in touch if you are looking for a place for a 2-4 year old. This year seems to have flown by! We have had some brilliant events and fantastic responses to our fundraising efforts. From having to postpone discos due to the Snow, to us all baking at the Bash, we were pleased to see so many of you regardless of the weather! This term alone we managed to fundraise over �1600, from the Bash, Sports Day and end of term BBQ. We cannot thank the village community enough for supporting us. The School Association provides lots of additional items that the school - particularly during these times of reduced budgets and tightening finances - could not otherwise provide for the local children. From coaches for swimming lessons and forest school provisions to providing a large lump sum towards the new play equipment. I would personally like to take this opportunity to specifically thank my fantastic team of dedicated PTA volunteers, without whom the school association would not function. They all give up their free time to provide teas and coffees at all the schools events, fundraise, support the school and ensure that our events not only are profitable but lots of fun for the children and their families. We have lots planned for the Autumn Term; we will be having, amongst other things, our very popular annual Halloween Disco and for us adults, our own disco! She was born in Brize Norton at Manor Farm, the sister of the late Mrs Dora Brown, wife of Peter who for many years was Churchwarden at St Britius. Mary learnt to fly at the Witney Aero Club in 1938 and she used to land in one of her father�s fields, where Shilton Park is now, to visit her parents. 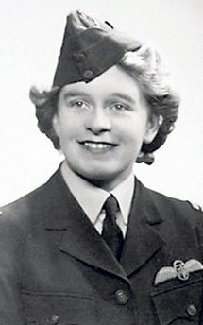 Mary Ellis joined the Air Transport Auxiliary in 1941 and was one of the intrepid girls who delivered planes from factory to airfields equipped with only compass, stopwatch and a map for guidance. She flew over 400 planes including Spitfires, Hurricanes and bombers like the Wellington. After the war she returned to Brize Norton to work on the family farm before moving to the Isle of Wight in the 1950�s to take charge of Sandown airport. Wow!......what a day the 24th June turned out to be, possibly hotter than the previous year. Two brilliant consecutive days is almost unheard of in our NGS Gardens Group Opening. We had just under 180 visitors from far and wide places, namely; Yorkshire, Milton Keynes, Isle-of-Wight and even New Zealand! We managed to raise a total of �1224.74. 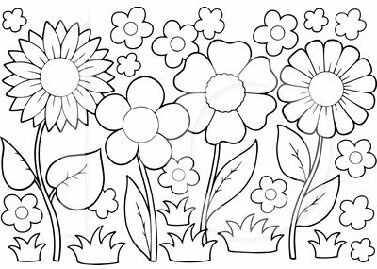 So as a result, we were able to donate �687.75 to the NGS Cancer Charities and �134.25 to each of the four local charities, namely, The Brownies, The Over 60�s Club, The Horticultural Club and the Church Funds. Lucy at Grange Farm managed to raise �175 in tea, cakes and plant sales, which went towards the aforementioned donations to our local charities. So, I would like to thank everyone involved for their support, especially the individual garden owners who worked so hard to make it such a successful, interesting and inspiring Open Day. Phil and Mary Holmes for all of the arrangements that were needed to hold the wonderful Flower Festival in our lovely Church. Also, I would like to thank the WI for their continuous support in providing teas and cakes for the visitors to our gardens. So �Roll-On� next year and let�s all hope that we have as much success again in 2019. 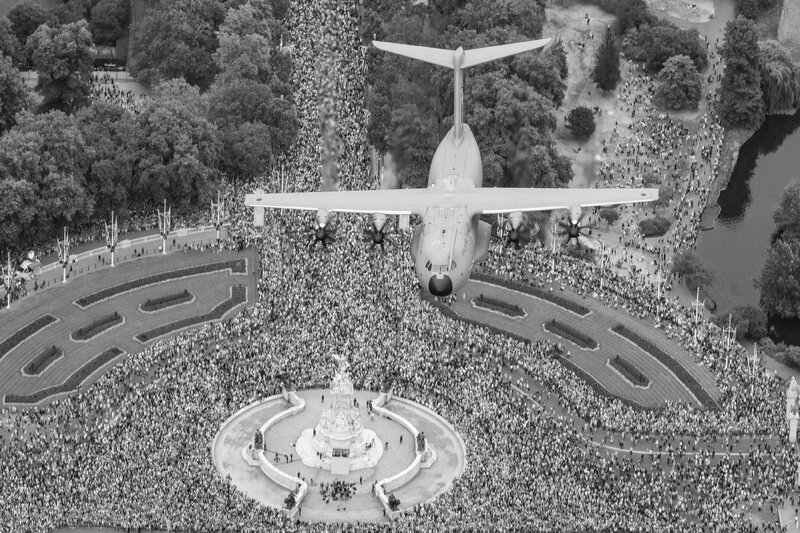 On 10th July 2018 RAF Brize Norton took part in the RAF100 Flypast and Parade in London. Brize Norton FC will be kicking off our season on Saturday 8th September. The club has two teams in the WDFA, the 1st team play in Division 2 and the Reserves play in Division 4. We'd really appreciate some local support on match days and it would be great to see some villagers on the side-lines (or in the pavilion bar after matches!). Training takes place at the Rec on Tuesday nights from 18:30 and new players are always welcome! Please check our website for upcoming fixtures www.pitchero.com/clubs/brizenortonfc> or follow us on Twitter @brizenortonfc or visit us on our Facebook group. 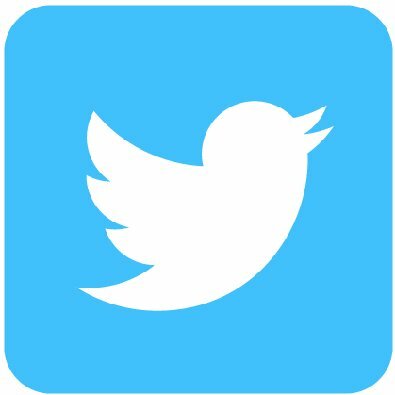 We're very keen to get more involved with the village community this season and we will be announcing some social/fundraising events later in the year. We already have one event for your diaries: The Bob Watts Charity Friendly on Sunday 9th September. As some of you will know, Bob Watts sadly passed away last year and we're hoping to honour his memory on the day and make some money for Sobell House Hospice. After helping reform BNFC back in 1963 Bob was a fantastic servant to the club and was also President of the WDFA. We're planning on providing a few nibbles and cakes as well as a raffle. If anyone would like to donate any prizes (or cakes) please get in touch with Olly Puddle or Simon Cook. 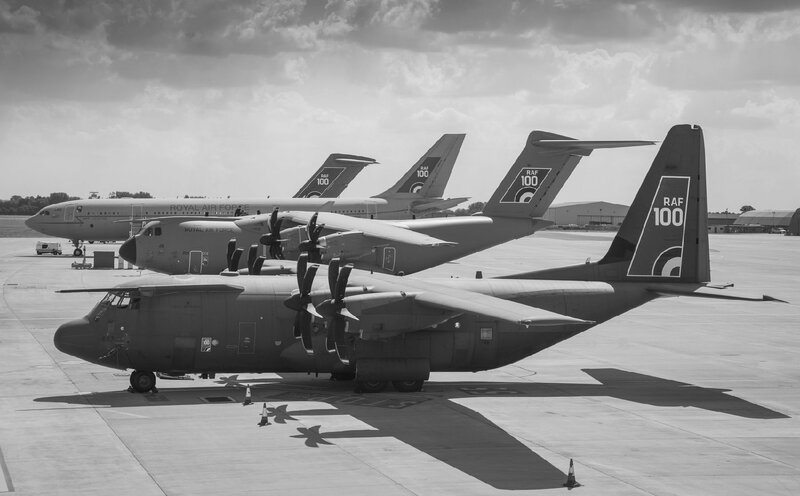 We hope you're all up for seeing some more high-class footy after the World Cup and to see you cheering on the Brize red and blacks this season! Oliver Puddle - chairman Ollyp33@hotmail.com. 07584068405. We meet in The Elder Bank Hall on the first Tuesday of each month, from 7.30pm to 10pm. The meetings consist of a demonstration by a professional wood turner. We break during the evening for a tea break, raffle, and time for a chat with the demonstrator and each other. The evenings are a chance for hobby wood turners to learn more but also for anybody interested in the art and just wanting to come and see how it is done. Our website: www.wowa.org.uk gives details of our forthcoming demonstrators and photos of some of the items produced by members. The club welcomes visitors and new members so if you would like to give us a try the first visit is free. Rev Bill Blakey, Team Rector recently announced his forthcoming retirement in November. A party is planned for Sunday 28 October at St John�s, Carterton to which the parishioners of St Britius are invited. If you would like to attend please contact Phil Holmes by 30 September � 01993 843856. The PCC is helping in the preparation of material to be used in the recruitment of Bill�s replacement which we hope will be by Spring 2019. 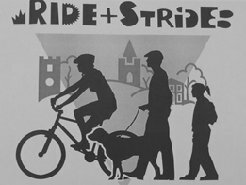 The annual Oxford Historic Churches Trust �Ride and Stride� event is Saturday 8 September. If you would like to support this initiative by taking part, sponsoring individuals visiting the churches, or even helping �man� the church on the day to greet the cyclists please contact Jacquie Griffin � 01993 841616. We welcome you to celebrate the festival of Harvest on Sunday 30 September at 9.15 am. All harvest gifts (non-perishable please) brought to church will be donated to The Besom project, a local charity that helps local people with food parcels in the event of personal crisis. We welcome the school to celebrate harvest at their service on Friday 5 October. Sunday 4 November is a family communion service at 9.15 am to celebrate our patronal service and "Back to Church" Sunday. We invite recently married couples and families whose children have been baptised at St Britius to join us, and everyone else who would like to come. There are activities for the children and refreshments served afterwards. 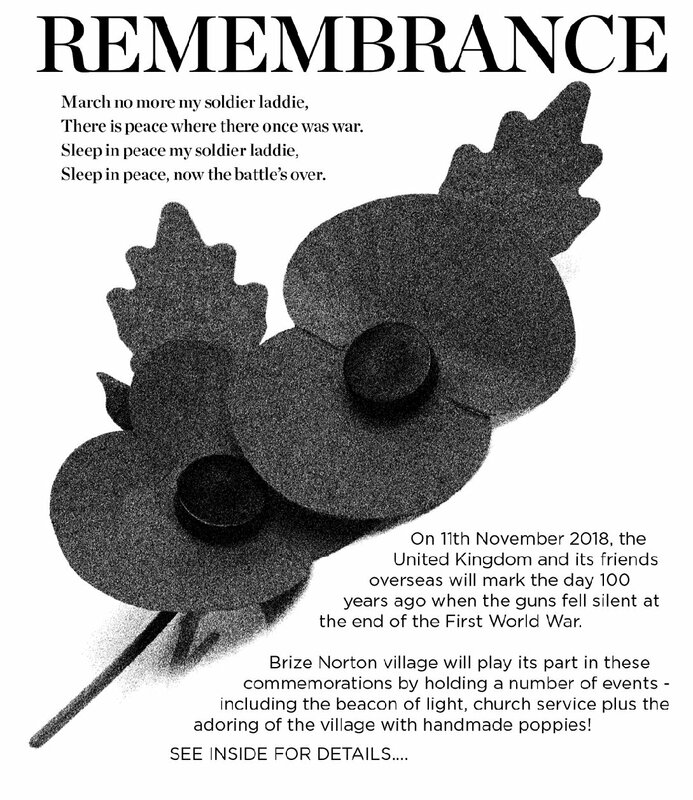 On Sunday 11 November the Nation remembers the centenary of the end of WWI and Rev Stephen Bessent will lead our service of Remembrance at 10.00am with the wreath laying at the War Memorial at 11 am. The PCC are also helping with the village activities planned later in the day and which we welcome you all to. DID YOU KNOW THAT KARATE IS TO BE PART OF THE TOKYO OLYMPICS IN 2020? A lot of people will want to learn once they see it. In Brize Norton you have the opportunity to learn Shotokan Karate at the Elder Bank Hall, Friday 6pm to 7pm,	with a 5th Dan Black Belt Senior Instructor of the Southern Shotokan Karate Association. Brize Norton Shotokan Karate Club was established over 15 years ago to give students the opportunity to learn a Traditional Form of Karate that instils discipline, helps build confidence and aids concentration. Our club is suitable for age 8yrs and over, beginners will be training alongside Senior Grades including Black Belts, this will give them the opportunity to see what they can aspire to and achieve, with regular training and a willingness to learn. Shotokan Karate at our club is taught in the traditional style and we strictly adhere to this, Kata, Kumite and Line work. There is a lot to learn it will take time and patience to progress. Students have the opportunity to grade 4 times a year. If Shotokan Karate is something you would like to try or maybe you want to return to Karate after a break, you may be new to the area and did not know we were here. Come along any time in September/October and give Shotokan Karate a try, the 1st lesson is free, then you pay as you train. We recommend four consecutive weeks to get a good overall view of the class and an introduction to Shotokan Karate and to decide if you want to join our Association. At the first lesson the administration will be explained, lesson fees, gradings, license etc. Please arrive 10 mins prior to start time, wear loose clothing. After a summer break the dance club will meet back on Thursday 6th September and then every Thursday evening in the Elder Bank Hall from 7.30pm-9.30pm. We dance ballroom, Latin and sequence dances to CDs. We have tea and biscuits in the interval. For more information please ring Joy on 842373. Brize Norton Brownies have spaces for girls aged 7-10. We meet on Mondays in the Elderbank hall where we are a friendly group doing lots of different stuff which the girls help to plan and organise. Last term we went to the district circus day where we learnt all sorts of skills such as tightrope walking, juggling and balancing a feather on our fingertips amongst other things. Weekly meetings have included making our own pizzas and ice cream sundaes for our Hawaiian evening, playing games and making our own gloop and play-dough. We have also been swimming at Carterton pool and for our end of term party the brownies cooked their own barbecue and went trampolining . 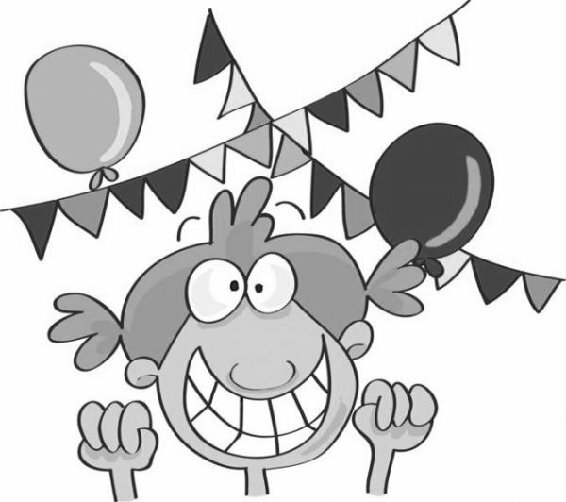 We are now on our summer break, but we start up again when the schools go back in September when we will plan what we are going to do in the new term, which will include our annual Halloween party. If you're interested in joining us you can either register on the guiding UK website or give Barbie Thorne a ring on 01993 842013. 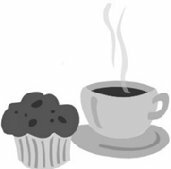 You are invited to a �Coffee Morning� in the afternoon of Friday 28th September 2018. Come along anytime from 2.00pm until 4.00pm at the Elder Bank Hall. 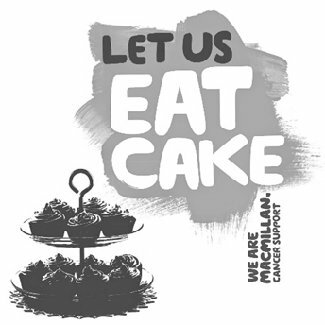 Donated cakes to eat and sell would be welcomed. All the money raised will help Macmillan fund specialist nurses, new cancer centres and grants to support people living with cancer who have financial problems. Witney - We meet at Witney�s Windrush Leisure Centre at 10 am on Tuesdays, Thursdays and Saturdays. There is no charge. We do two walks; one is 1-2 miles long, the other 2-3 miles both ending up with a cup of coffee. For more information ring Joy on 01993 842373. Carterton - On Monday, Thursday and Saturday we meet at the Town Hall, Carterton at 10am. The walks are 1�2 miles long. For more information contact Barbara Goudal on 01993 845923. We have had some interesting speakers so far this year including one from one of our new WI members, Janet Albury-Simpson who spoke to us on the Bahamas as a British Colony as she lived there for many years. John Caldicott gave us an insight into The Foundling Hospital which took in young children when their parents were unable to keep them. He himself had been one of those children and it was a very moving talk. May 8th we celebrated our 90th birthday and did so in style when members were joined by other neighbouring WI's and the retiring chairman and new chairman of OFWI also joined us. The hall was decorated and members provided delicious food and a celebration cake was cut by our oldest member, Barbara Davies. In June we listened to Ken Brazier who had climbed Kilimanjaro when he was as he put it "an old man". This was followed in July by Lynda Warren talking about "The Mystery of Agatha Christie". This was an inspiring talk and made you want to go out and buy one of her books. We meet in The Elder Bank Hall on the second Tuesday of the month at 7.30pm and visitors are always welcome. We are a village group of 26 members. We have an outing or meet on the 1st and 3rd Tuesdays of the month at 2pm at 4 Squires Close at 2pm. After our meetings we enjoy sandwiches, tea and home-made cakes, thanks to June, Connie, Benita and Ellen. For more information, ring Joy on 842373 or look on the village notice boards. Organisation Contact email Telephone No.